Tried and true. 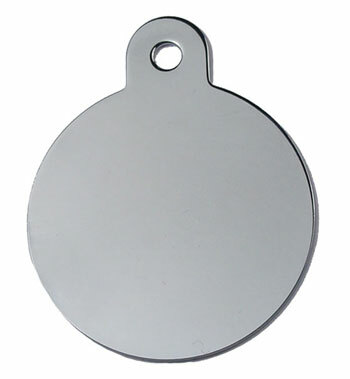 Lightweight chrome-plated tag that’s engraved on both sides with all of your pet’s vital stats. Measuring 7/8″ across for the small, or 1.25″ across for the large, the tag can accommodate up to four lines of copy (please type “none” into undesired fields, below).